As expected out of 56 seats only 24 is sold. Current available is 32. First few runs of 12814 is in WL but after that it will be empty as well. Let people know nicely that 1A is not there. EC have replaced it. 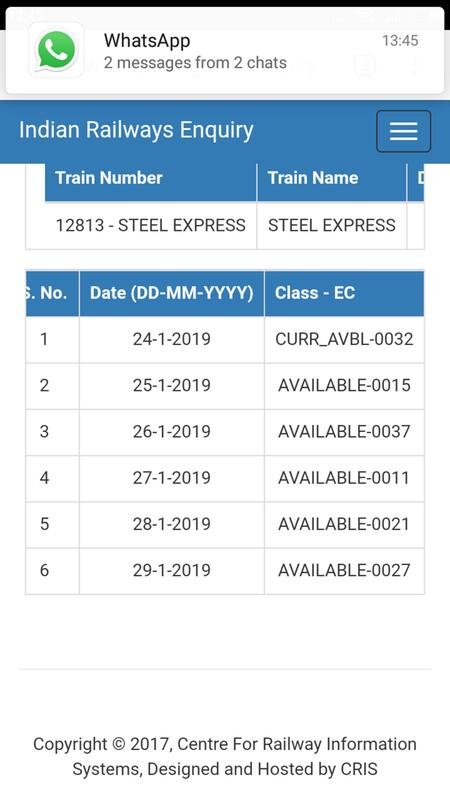 People still don't know about EC replacing 1A as bookings were on with 1A till 28th's run. People will switch to CC from EC after they become aware.